Welcome to our final Foodie Diary of the year, full of the best food and drink in Cornwall this December. Unsurprisingly, there’s a festive theme to most of this month’s events, with several Christmas fairs and wreath making workshops thrown in for good measure. I’ve chosen not to include the very many Christmas menus on offer in here; suffice it to say that most restaurants and hotels are offering set menus and packages for Christmas parties. Wishing all our readers a very happy Christmas. Eat, drink and be merry! Here at Barefoot, we’re always very happy to support the brilliant charity Cornwall Christmas Box. If you haven’t heard of it, then take a look at their website or Facebook page. If you and your friends or family can put together a Christmas dinner in a box (all tinned and packeted items as per the checklist), Cornwall Christmas Box will deliver it to a family in Cornwall who otherwise wouldn’t be able to afford to eat well this Christmas. Typically the contents of a box will cost you between £25 and £40. There are collection points across the county, including Barefoot Media‘s office, with last delivery date Sunday 9th December. The boxes will be distributed by Cornwall Christmas Box and Cornwall Council’s teams who work with vulnerable and impoverished families in the county. Full details can be found here. Last year 540 boxes were donated, which helped thousands of people have a happier Christmas. It would be wonderful to beat last year’s total; please help if you can. 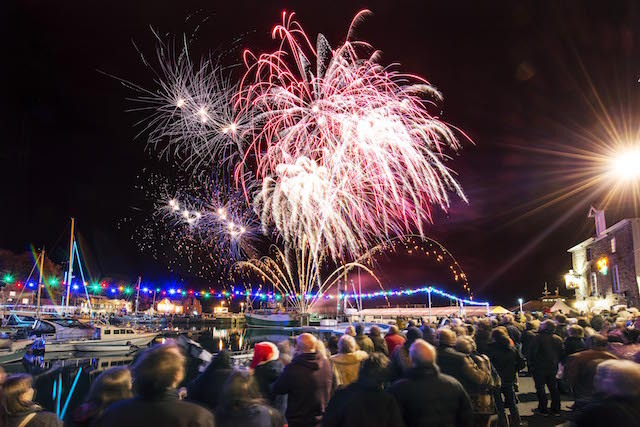 Cornwall’s biggest, festive food festival runs from Thursday 6 to Sunday 9 December and, as ever, there will be an amazing line-up of chefs demo-ing on the two stages, over a hundred food, drink and craft stalls, a wine theatre, live music and entertainment, a children’s fancy dress lantern parade, a spectacular firework display and much more. The event is free to attend, and is the perfect way to get you in the mood for Christmas. For up to date information follow the festival on social media: Facebook, Instagram or Twitter. For full details, including a programme of events and practical information, visit www.padstowchristmasfestival.co.uk. 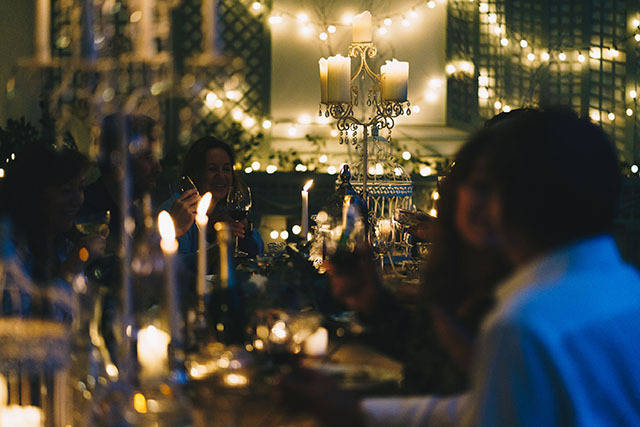 The team from Amélies in Porthleven has created a series of events on the Port Eliot Estate, kicking off with candlelit festive feasts on 7, 8 and 15 December, which will be held in the beautiful orangerie. The evenings will begin with spiced mulled wine and canapés, then three sumptuous courses will be followed by live music and dancing. 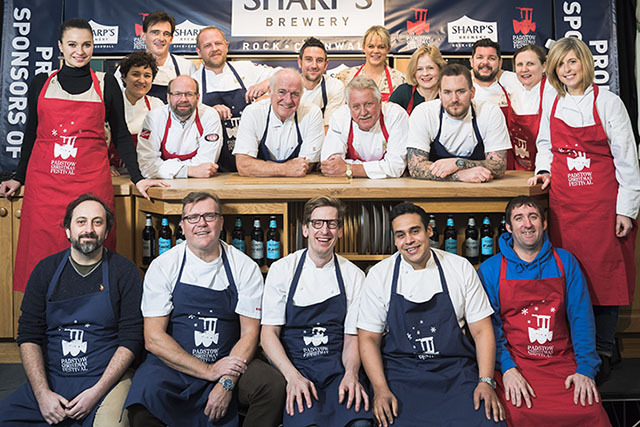 For the full menu and to buy tickets (£42pp) see here. Full details of all events can be found at ameliesevents.co.uk. The Headland Hotel is offering something a little bit different this Christmas, with its Festive Afternoon Tea. Available daily from 3pm to 6pm throughout December, the Festive Afternoon Tea includes a selection of festive finger sandwiches, home baked scones with jam and Rodda’s Cornish clotted cream, plus Christmas cakes and fancies. With a choice of warm mulled wine or delicious spiced cider, this wintery treat is priced at £19pp, or £24.95 including a glass of fizz. For more information or to make a reservation, see here. The Old Quay House continues with its traditional “Christmas lock in” this year, handing over the front door key to guests after Christmas Dinner, with staff returning to serve Boxing Day breakfast. Left with an honesty box, guests are invited to help themselves to drinks from the bar, mix their own cocktails, and enjoy the hotel at their leisure. 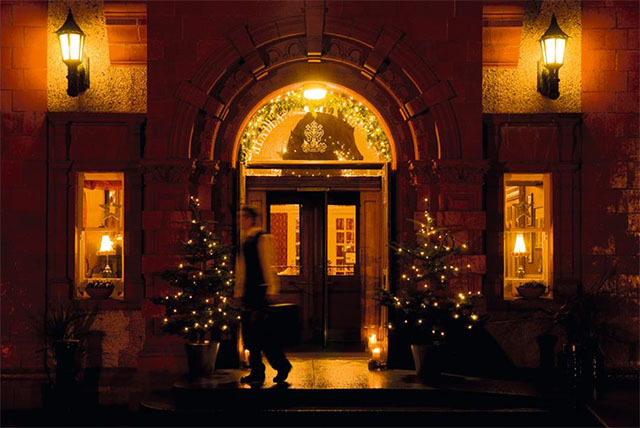 The luxurious three night Christmas package is perfect for anyone wanting a relaxing Christmas, and packages start at £850 per room. 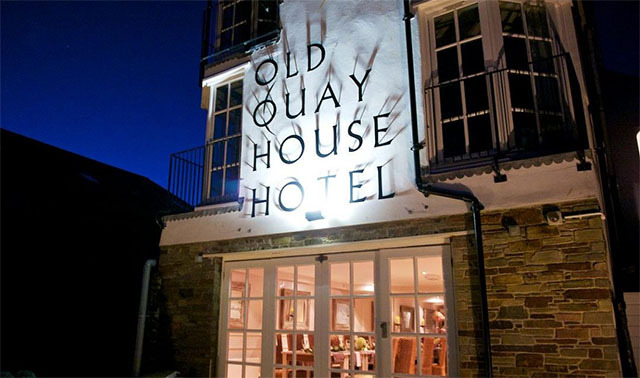 Bookings can be made by contacting The Old Quay House on 01726 833302. For more information, visit theoldquayhouse.com. Feeling peckish on a Wednesday? Head to Rojano’s in the Square in Padstow for their “In the Square Wednesdays” which are back for winter. Keep an eye on social media for the daily special. At the time of writing, the most recent offer was two burgers, fries and two Padstow Brewing Co. beers for £30. 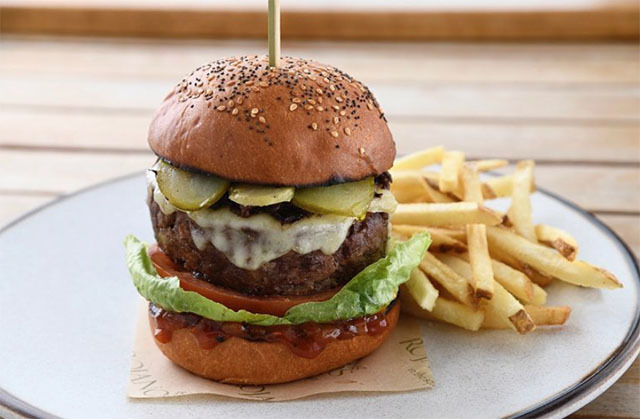 Diners can choose between the Day Boat Burger (Cornish fish in breadcrumbs with tartare mayonnaise, fresh Parmesan and lemon) and the Red Ruby Short Rib Burger (with Fontina cheese, pickles, tomato, and onion seed chutney in a sesame seed and clotted cream brioche bun). 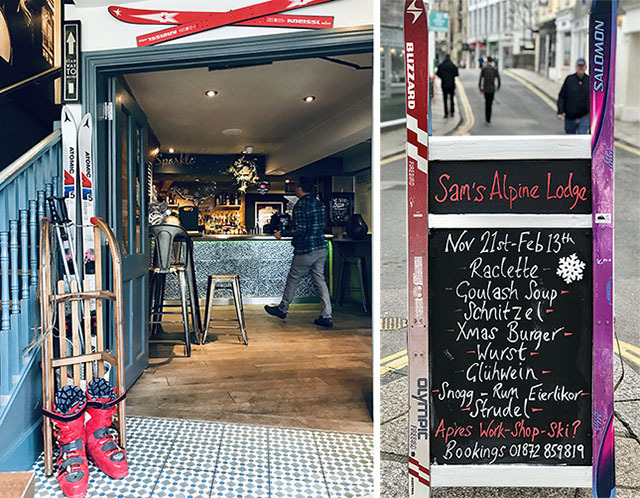 Sam’s in the City has transformed into a ski lodge this winter, with an appropriately alpine menu, so you can get get your après work/shopping fix. Dishes include raclette, schnitzels, apple strudel and Toblerone cheesecake. On Ski Sundays and Mondays there’s 10% off the menu if pre-booked; feel free to dress up in your finest après ski attire! Sam’s will also be launching their latest cocktail “Snogg”, which is Eierlikör made with, and in collaboration with, St Ewe Eggs. New kid on the block Harbour and Field is the latest venture from the owners of The Watch House in St Mawes. The catering, events and food company is based in Truro and can cater for events, serving up delicious food, whether it be sausage rolls or a luxury wedding banquet. 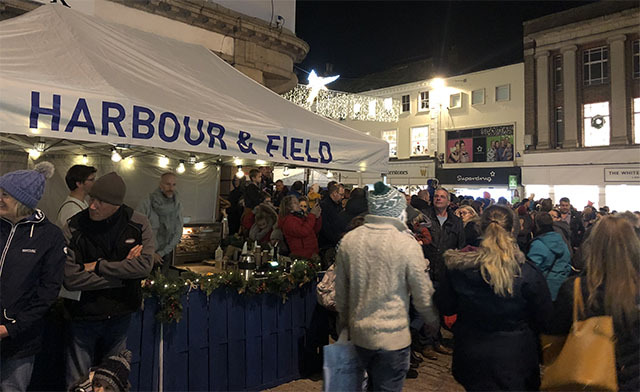 Harbour and Field has a festive food stall in Truro on Wednesdays (10am to 9pm for late night shopping) and Saturdays (9am to 4pm) in the run up to Christmas. They will be serving up three delicious looking Christmassy burgers: turkey schnitzel with sausage and chestnut stuffing, Brussels sprout and parsnip pickled slaw, and cranberry mayo in a brioche bun; cured salmon burger with celeriac remoulade, pickled cucumber salad, and dill sauce in a pretzel bun; and a crispy fried nut roast patty with vegetables, chestnuts, raclette cheese, cranberry mayo and pickled Christmas slaw, all in a brioche bun. There’ll also be side dishes such as pigs in blankets, and puddings served with whipped egg nog. Yum. For more information visit harbourandfield.com. Trewithen‘s The Tea Shed is opening up for a special long weekend from 29 November to 2 December. The gardens are gorgeous at this time of year and there is free entry (with a donation to Cornwall Community Foundation). In the Tea Shed there will be a selection of delicious lunches and cakes available, as well as some choice gifts so you can get some Christmas shopping done while you’re there too. Almost 200 traders, including many food and drink producers, are expected to attract 10,000 people to Fowey for its annual Christmas market. Father Christmas will make an appearance, the Christmas lights will be switched on, and there’ll be plenty of live entertainment. For a full list of exhibitors, visit website. Ruby Alice Floral Design is hosting four wreath making workshops at The Old Coastguard on 1, 5, 7 and 12 December. Each of the workshops costs £45 per person and includes all materials, a two course lunch, and a drink on arrival. Short & Strong in Charlestown is hosting Charlestown Harbour Christmas Fair to coincide with the switching of the Christmas lights. The fair opens at 12pm with some lovely artisan gift stalls, plenty of mulled wine, cheese and food specials, and Christmassy cocktails. Father Christmas will be there from 2 to 4pm, there’s live music from 6.15pm, and the lights will be switched on at 7pm. Coombeshead Farm’s Christmas market runs from 10am to 2pm, and will be both an indoor and outdoor (with a firepit) affair. There will be a variety of talented locals and their goods, including crockery, wreaths, cheese, cider, beer, honey, salt and cakes. Hot food and drink will be available from the Coombeshead kitchen, from coffee to mulled wine, and venison sausage rolls to mince pies. You will also be able to purchase items made at Coombeshead, such as bread, fudge, soap, lip balm, sheepskins, mulled wine tea bags, various wintery jellies, butters and mincemeat. There will be an option to pre-order some items, such as pork pies, for pick up just before Christmas. Nancarrow’s Shine for ShelterBox feast will be held on 5 December, with all the profits from the event donated to the fantastic charity. 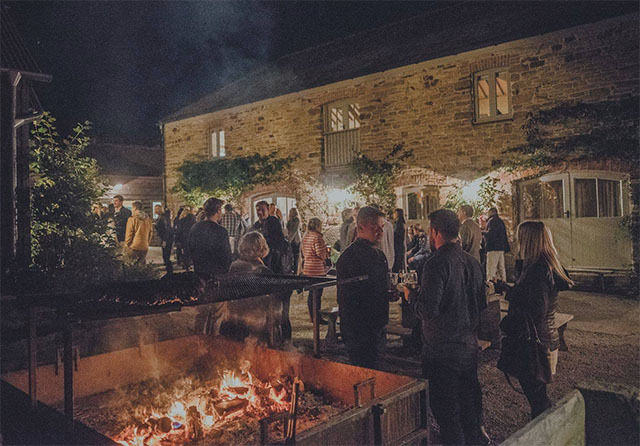 It’s always a really special evening in the beautiful candlelit barn, and this year’s menu includes home-reared Tamworth pork along with fresh vegetables from the kitchen garden. The final feast of the year on 12 December features prime Nancarrow beef. Tickets are sold out; sign up to their email newsletters to be the first to hear about upcoming events. Karen Egan of Floral Creations Cornwall is running a series of workshops at Knightor Winery, where can you create your own gorgeous wreath to hang on your door. The workshops run from 12pm to 2.30pm on 5 and 12 December, and are priced at £39.50 including tea, coffee and mince pies. Booking essential. Phone 01726 851101 or book online. An evening to taste Nyetimber’s range of sparkling wines at The Winestore in Charlestown. The perfect evening if you love a drop of fizz, and just in time for the party season, with wines available to be ordered for Christmas. £25pp, phone 01726 61777 or email to book your place. Book now for one of the popular guest chef nights at Trevisker’s near Padstow, with each menu priced at £35 for seven courses. On Thursday 6 December Ross Geach will be cooking with an optional extra wine flight by Charlie Stein. Friday 7 December sees legendary chef Alan Bird running the kitchen, and on Saturday 8 December Anneeka Ludhra-Gent and Geeta Ludhra will be cooking an Indian feast. This year’s Heligan Christmas Fair (open 10am to 4pm each day) is set to be their largest yet, with over 100 stalls of local producers, artisans, creators and makers. There will be live music in the Heligan Kitchen, seasonal treats from the Heligan Bakery, and plenty of mulled wine. Lobbs Farm Shop will also be open so you can order your Christmas turkey and other provisions. Entry to the Fair is free for Heligan Members, £1 for Local Pass holders and £2 for everyone else, and includes garden entry. Learn all about the wonderful world of gin and how to mix up some winter cocktails, then enjoy the fruits of your labour, by drinking the cocktails afterwards. Places are limited, £25pp, phone 01726 61777 or email to book your place. 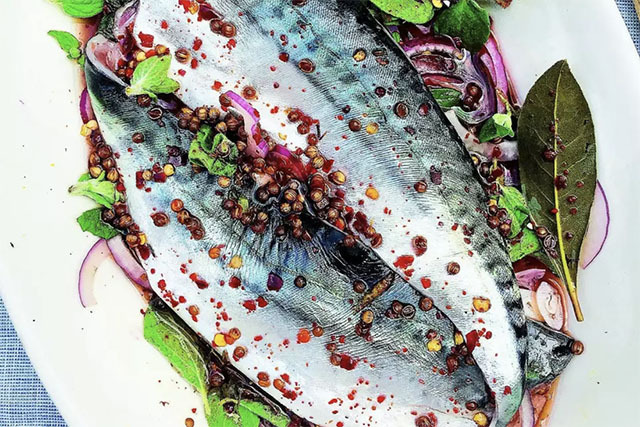 Three courses of sustainable seafood at this supper club in Wadebridge, with proceeds to be donated to CALM (Campaign Against Living Miserably). £27.54pp, BYO, tickets available online. A “soulful and immersive dining experience” in the warmth of Botelet Farm in celebration of the true values of the festive season – simplicity, sharing, gratitude and hope. 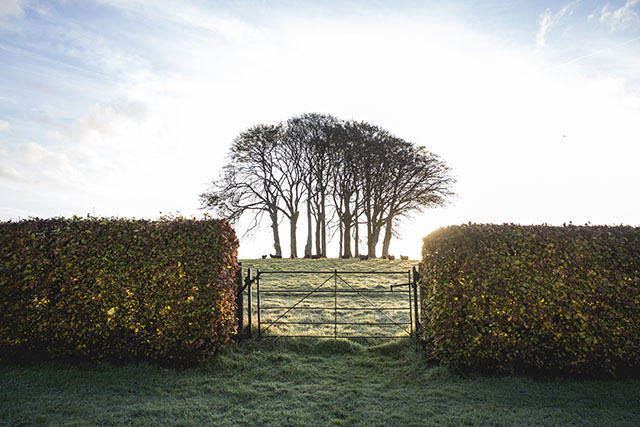 James Strawbridge has designed a carefully considered fully vegetarian menu, and there will be a chance for guests to pause for reflection through a guided meditation by candlelight with Joey Hulin. £50pp, for full menu and more information see here. The second Buchanan Wines Cornwall supper at Surfside in Polzeath. 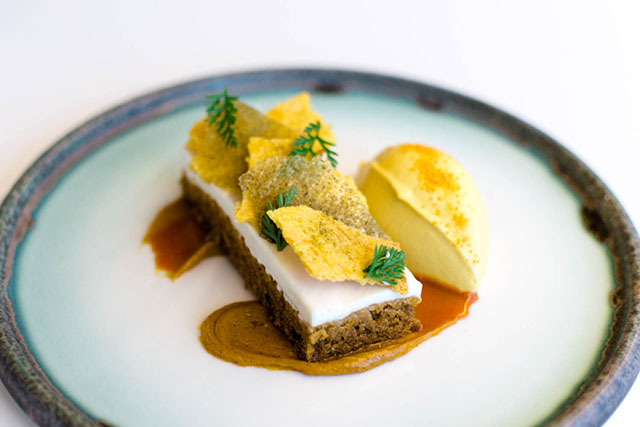 Enjoy a two course seasonal meal, matched with intriguing and interesting wines (available by the glass or bottle). Tickets are £22.50 (buy online) and include all food, with wine and soft drinks available to buy on the night. A candlelit feast prepared by Liam Smith-Laing at Camel Studio near Wadebridge. The three course festive menu looks delicious. It is priced at £30pp and includes canapés. For more info, or to buy tickets see here. The first supper club at The Winestore in Charlestown features a four course Italian supper, cooked by The Longstore’s executive chef Ben Ambridge, and will be paired with specially selectd wines. The evening begins at 7pm with fizz and nibbles. £45pp, phone 01726 61777 or email to book your place. Zennor Wild will be hosting The Gurnard’s Head’s wreath making workshops at 6pm on 11,12 and 18 December. The workshops cost £50pp and include a two-course supper, drink, and all materials. Phone 01736 796928 to book your place. Join Fifteen Cornwall’s head sommelier Elly Owen and pastry chef Mariana Chaves, and cheese expert Tom Hanson, for a dessert, cheese and wine tasting. There will also be the opportunity to buy some of the cheese and wines you tasted for yourself or for festive gifts. Tickets are priced at £40 and are available to purchase online. The Beach House in Widemouth is holding Christmas feast and party nights on 14, 15, 21 and 22 December, with live music and a banquet. Tickets are £5 for the party and music, and £25 for the feast, party and music. See Facebook for more details. Pencoose Pantry and Wild Tipi Feasts are collaborating for their Wild Christmas Feasts, which will be held at Trewithen this year. On both 14 and 15 December, guests will enjoy a feast of seasonal food, ceilidh dancing and a log fire. £48pp, includes a standing starter and a seated main course and pud. The Gurnard’s Head’s Village Christmas Feast is a family-friendly Christmas lunch with communal sharing tables, crackers and Christmas cheer. The three course lunch, with wine on the tables, is priced at £24 per person or £12.50 for under 15s. If you’d like to book a spot call 01736 796928 or email [email protected]. Guest chefs from The Round Kitchen will be serving up a three course Christmas supper menu in the beautifully decorated barn at Pengenna Manor. Spiced mulled wine will be flowing, and there’ll be a live band for after dinner dancing. £40pp, includes welcome drink and nibbles. 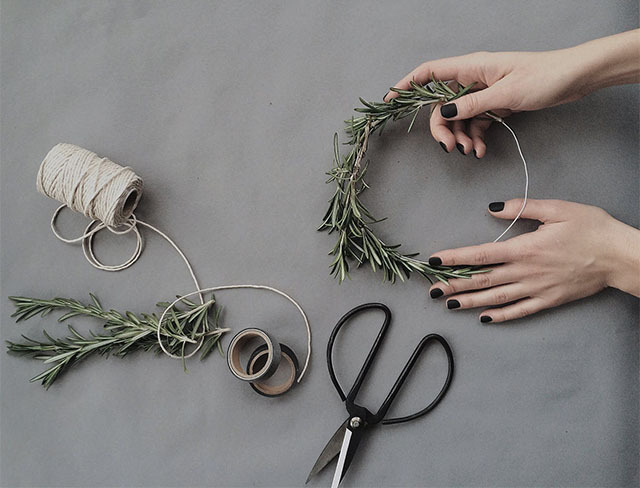 Loulabel Floral Design will be hosting a wreath making workshop at Origin Coffee’s Warehouse in Penryn. Using pine cones, cotton, scented festive foliage, dried hydrangeas and sumptuous velvet ribbons, participants will create an everlasting, super stylish eco friendly wreath. £65pp including all materials, delicious coffee and pastries. Book online. The Winestore in Charlestown will have a selection of ports open for you to try before you buy, along with a selection of cheeses which will be available to purchase in store. No tickets needed! 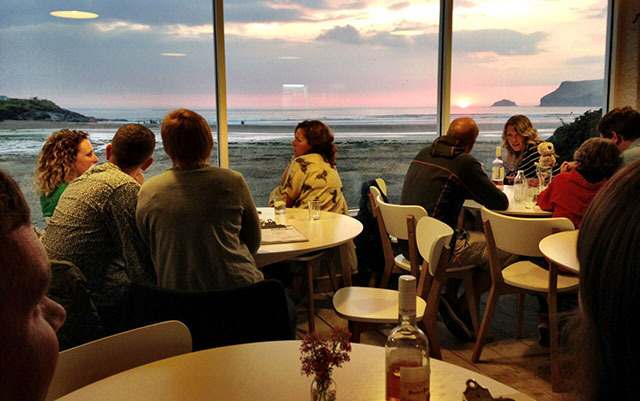 The third Buchanan Wines Cornwall supper will be held on the winter solstice at Surfside in Polzeath. Tickets are £22.50 (buy online) and include all food, with wine and soft drinks available to buy on the night. Knightor’s feast of warming Scandinavian dishes sounds like the perfect way to fill the gap between Christmas and New Year. The three course menu looks delicious, and is priced at £30, which includes a welcome cocktail and nibbles. For the full menu and to book a ticket, visit website. We love to hear from you; feel free to comment below, or if you have any news please send us an email.